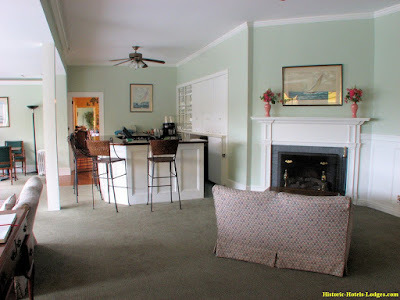 These photos show the Inn as it looked in summer of 2007 when my wife and I visited. What you see here is not necessarily how it looks today. Hotels typically remodel every 5-8 years. 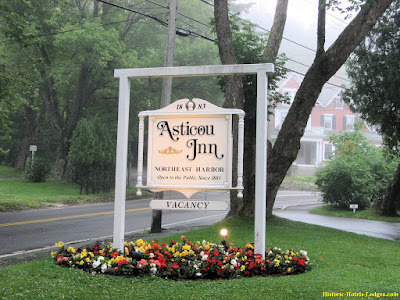 If you're looking for a hotel that still retains all of it's original charm, the Asticou fits the bill. 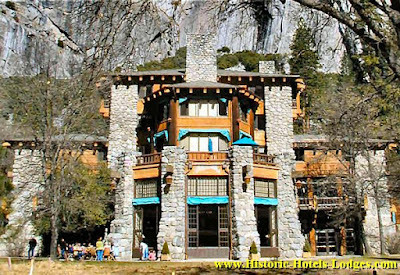 Additions in the early 1900's changed the exterior slightly and added rooms to the Inn. 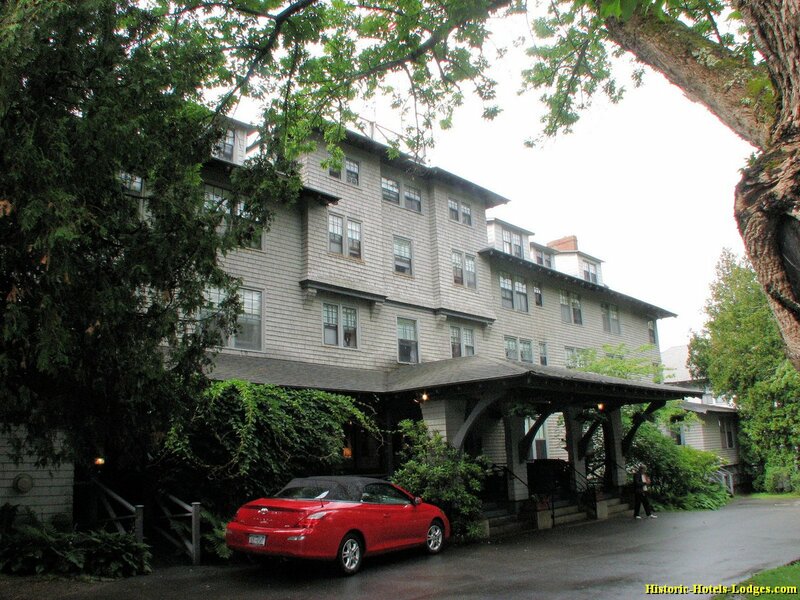 However the Inn's exterior has changed little in the last 60 years. 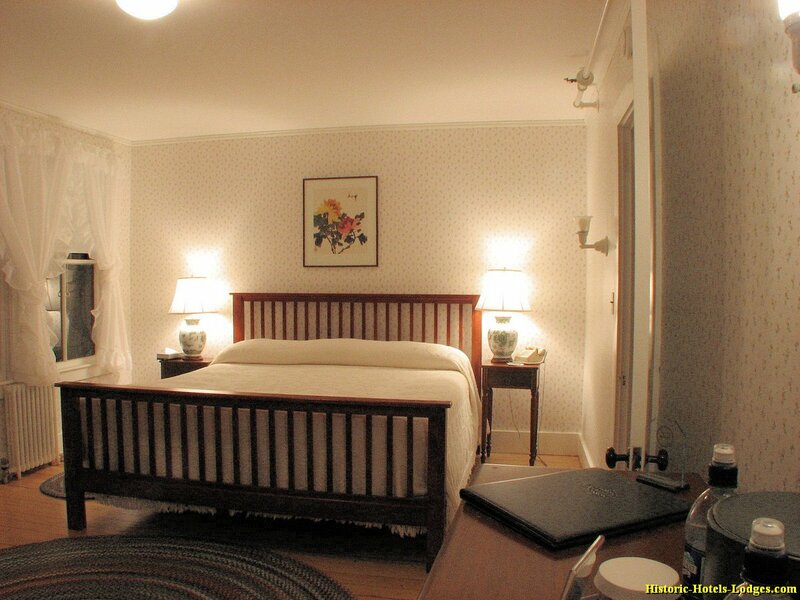 Interior remodeling has enlarged many of the rooms, primarily by removing walls to combine adjacent rooms rather than relocating walls. 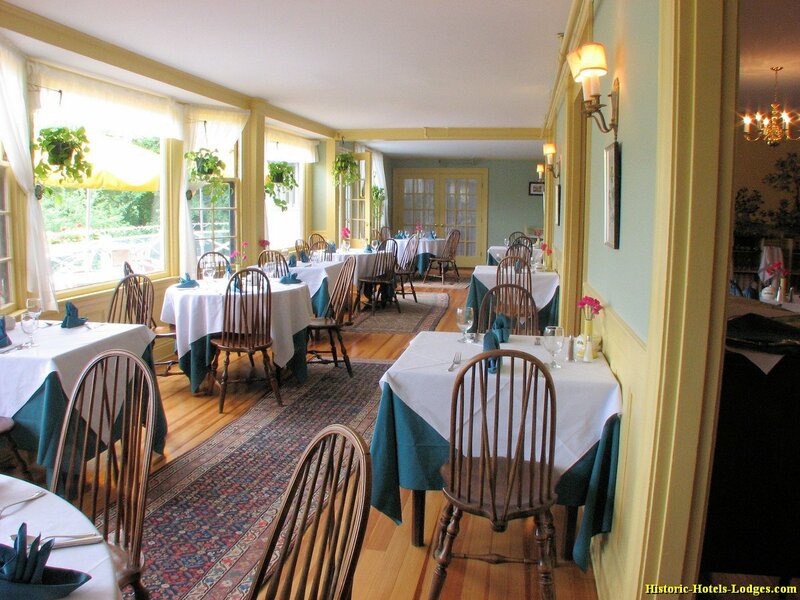 Careful remodeling and restoration have allowed the Inn to retain it's historic charm, with polished wood floors and the craftsmanship of a bygone era. 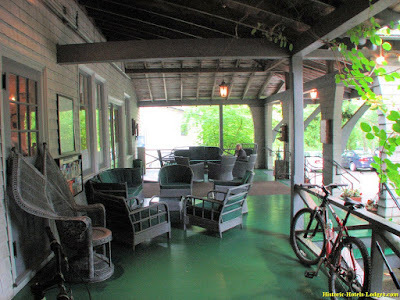 The Asticou Inn was established when Augustus Chase Savage and his wife Emily built a home called Harbor Cottage in 1854 and began taking in summer visitors. Harbor Cottage still stands across the street from the Asticou Inn. It is called Cranberry House now. In 1883 the Savages expanded their small summer lodging business and built the first Asticou Inn building across the street from their house. The photo above is of the original Asticou Inn building. The original Inn shown in that photo burned down in 1899. 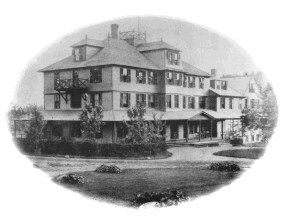 The Inn was rebuilt by A.C. Savage's son, George Savage, and reopened in 1901. The new Inn building was designed by architect Fred L. Savage, who was another son of A.C. Savage. 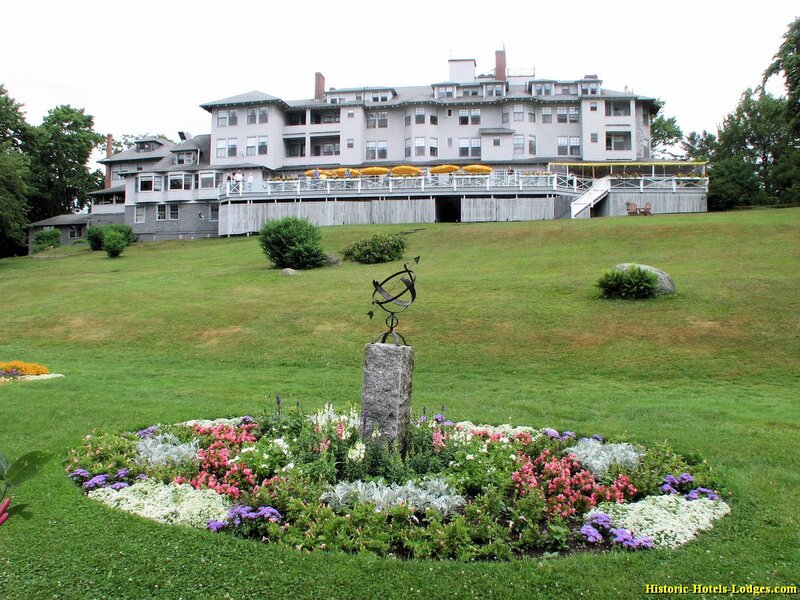 Fred Savage went on to design many of the grand “cottages” on Mount Desert Island and is a famous architect. The new Asticou Inn was operated for years by George Savage and his wife. When George died, the hotel management passed down to the next generation; George's 17 year old son Charles. Charles later married Katharine Larchar and together they ran the Inn until the mid-1960's. This is the 1901 Asticou Inn viewed from the street. The Asticou Inn sits on a narrow strip of private land between the boundary of Acadia National Park and the waters of Northeast Harbor. Notice the "widow's walk" on the roof. The widow's walk (a platform on the roof with a railing) was a common New England feature on homes in the 1800's and 1900's. The walkway on the roof served as a lookout post, a place to watch for ships returning from sea. The name is derived from the image of a widow watching from the platform in vain for the return of her husband who was lost at sea. The actual plans for this building drawn by Fred Savage feature a cupola on the roof with a tall spire atop it. The cupola was never built, the widow's walk was substituted. You can see the porch details a bit better in this photo. What you see in this photo is the extent of the original 1901 inn. Everything to the right of the 3 story tall section of the inn was added later. Architecturally I think I would classify this as a Shingle Style building, with large porches (mostly enclosed now), irregular roof lines, and just a hint of ornamentation. There are some Craftsman touches to this building, like the large front porch columns. Shingle style architecture is closely associated with the Maine seashore, where it is common. This building has seen several major additions over the years, and those additions have somewhat changed the style and balance of the building. This photo was taken from the rear left corner of the inn looking out at the harbor. 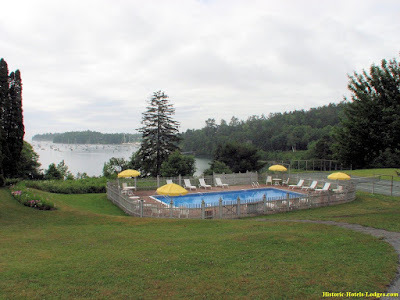 The fog is lifting a bit and our view includes the pool and further in the distance, boats anchored in Northeast Harbor. The swimming pool and tennis court (to the right of the pool) were added in the mid-1960's. After walking down to the cutting flower garden, we can looking back at the inn and see the entire back of the building. The small rooms with dormer windows on the top floor were originally used to house the personal staff of the wealthy guests of the hotel. Guests would spend weeks or even months staying at the inn, and would bring their personal staffs with them. A separate dining room served meals to these staff members to keep them separated from the guests. 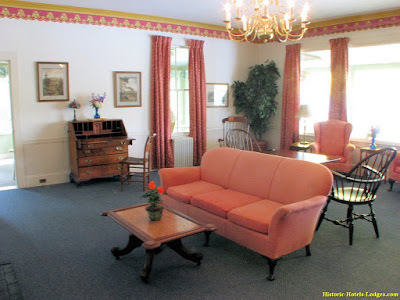 Guests sometimes even brought their own furniture to the inn! Well, we've walked around the outside of the inn and here we are back at the front porch. 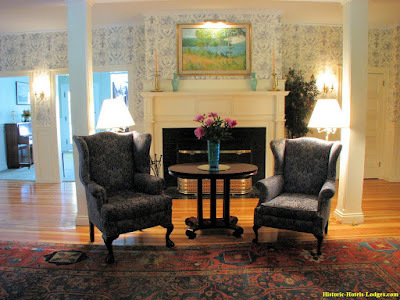 The wicker chair on the left is a real classic! Can you spot the antique telephone? Another view of the porch showing the massive roof braces. This porch and the braces were part of the original building. In October of 1947, a large forest fire swept across Mount Desert Island, burning over 17,000 acres and much of the nearby town of Bar Harbor. The Asticou Inn was one of the few buildings that was spared by the fire. In the mid 1960's Charles Savage sold the property, ending the Savage family operation. 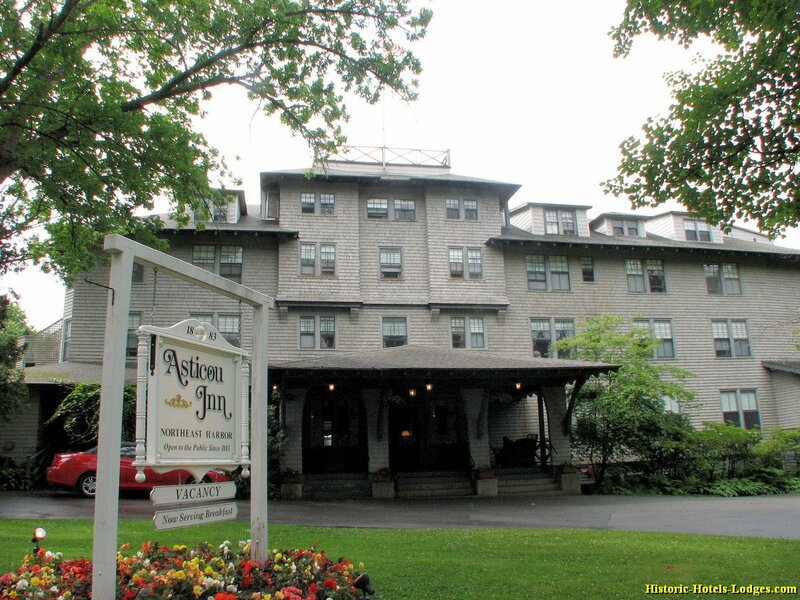 The hotel was purchased by a group of investors interested in historic preservation. Stepping inside through the front doors, the first thing we see is this fireplace opposite the doors in the small lobby. To the right from the front doors is the concierge's desk and the grand staircase. The glass door on the left is the dining room entrance. The door to the left of the dining room entrance with the yellow tinted light shining from it is a very small elevator. Directly behind the lobby is the lounge, which was added to the inn in the 1960's. The far door also leads to the dining room. This is a panorama shot of the dining room. Notice the painted floral/bird murals on the walls. 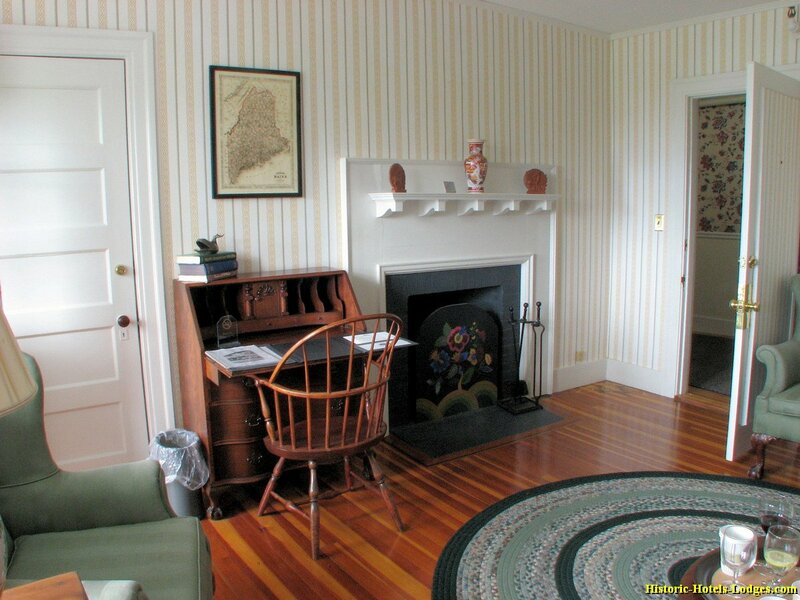 Notice the beautiful wood floors that are found throughout the inn. 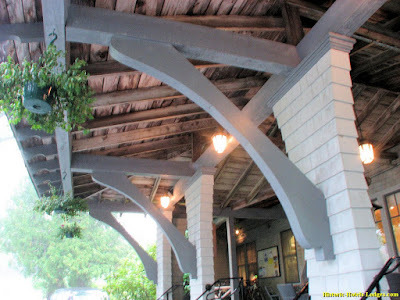 This portion of the veranda on the back of the inn was enclosed to expand the dining room. 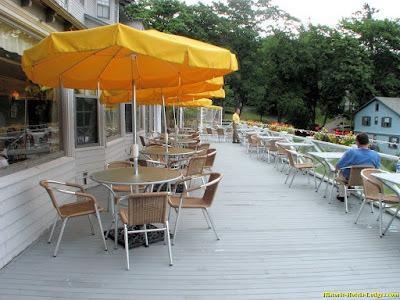 The tables next to the bay windows have a great view of Northeast Harbor. The double glass doors at the far end lead to the Garden Room, a mid-sized room used for banquets and meetings. Outside the dining room windows is a large deck for outdoor dining in nice weather. Or just sit and relax out here enjoying a drink and the view of the harbor. Adjacent to the lounge is the living room. Notice the window on the left wall. You'll see it later from the other side. 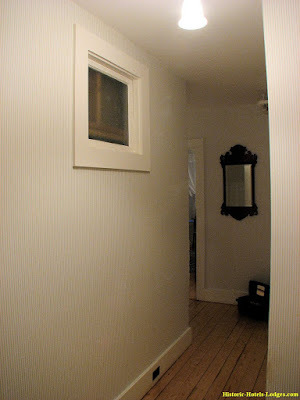 It originally was an exterior window to the veranda area. Looking toward the front of the inn from the back windows in the living room. 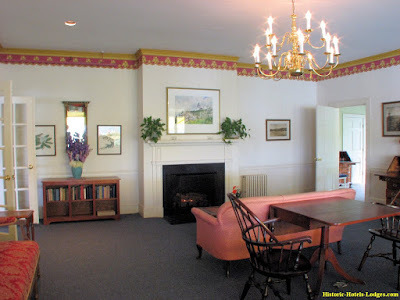 This is the East Porch, it was originally part of the veranda that wrapped around most of the inn, but was later enclosed to create this room. Judging by the sliding glass door my guess is this was enclosed in the '60's remodel. The sliding glass door is on the rear side of the inn. The window on the right is the window previously mentioned when we were in the living room. 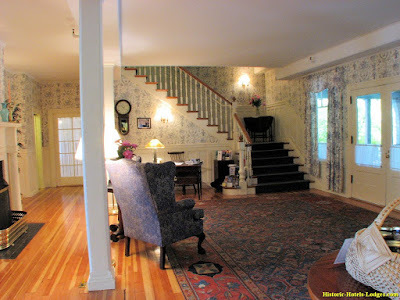 Next let's head upstairs and look at some guest rooms! This is room 116 (the room we stayed in.) 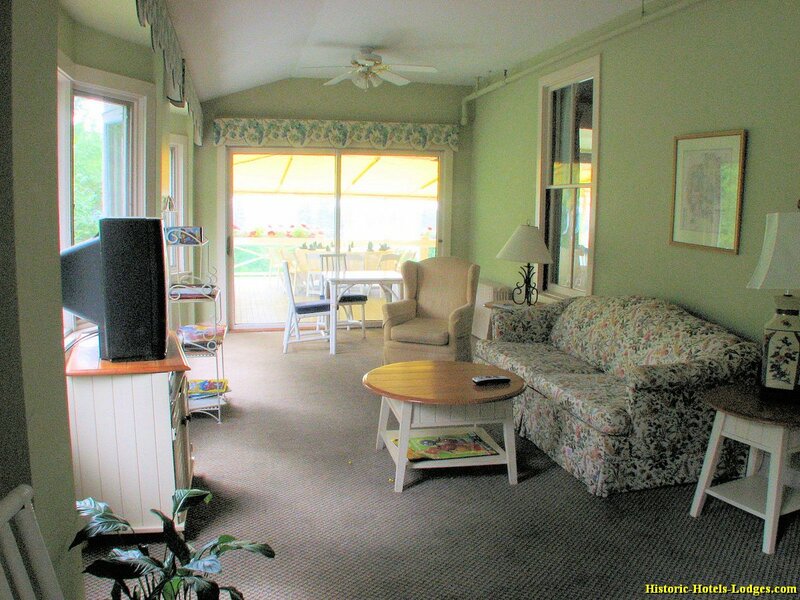 It is a king bed room on the back side of the inn, with views of the harbor. I suggest if you are a light sleeper that you will want a "view room" on the back side of the inn. The road on the front side is busy and can be noisy. Panorama view of room 116. This is a panorama of the view from the window of room 116 of Northeast Harbor. Not a bad view, even on a foggy day! Small bathroom in the room. 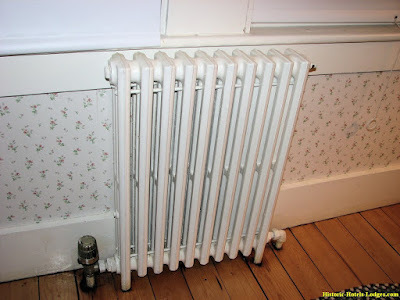 If you have ever done any of your own plumbing repairs you will appreciate the workmanship on the exposed plumbing under the sink. No flex tubes, that's all rigid steel pipe. How would you like to try to repair that? I pity the Asticou's plumber! This window has a view of... nothing! The wall with the window was originally an exterior wall, the window was the bathroom window to allow fresh air in, and this hallway was a outside porch. An addition of new rooms on this side of the hotel made this no longer an outside wall. They could have just removed the window, but they chose to retain the historic window location. Pretty cool. It adds to the charm of this inn. If you look through the frosted glass all you see are the wood studs in the wall. This is a fancier room, with a non-working fireplace. Notice the beautiful hardwood floors found in most of the rooms. 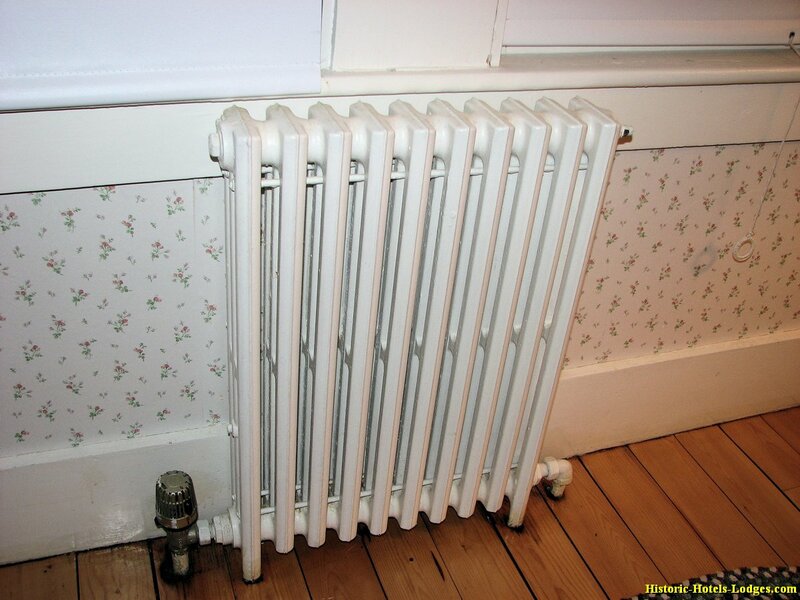 Old radiators tend to clunk, bump and groan, and this inn has lots of them. Plus old wood walls that stretch and groan when the wind blows. Think cold winter night and a storms blowing in off th harbor... Spooky! So let's talk about ghosts for a minute. A while back a guest was checked into her room, only to return to the front desk claiming that they gave her the wrong room. At that time the Asticou Inn assigned rooms at the time you reserved them, and a confirmation with a complete description of the room, including the room number, was sent to guests. How could she now think she was given the wrong room? A double check was made and she did not have the wrong room, however she was very upset and insisted that she be switched to another room. She would not stay in the room she had reserved! The Inn staff was able to switch her to a different room, but were somewhat baffled by her claim of the wrong room. She eventually admitted that they had given her the correct room, but stated that she simply could not stay in the original room she had reserved. 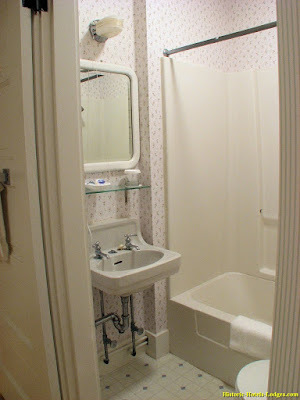 When asked why, she rather sheepishly confided that when she went into the original room she saw a ghost in the room. She then described the apparition in great detail, and her description matched perfectly the that of Guy Toole, a former Inn employee who passed away in 1998! Guy loved the Inn, and everyone there loved him. He started working at it when he was 16 years old and worked there his whole life. Did Guy refuse to leave his beloved Inn even after his death? Like all good ghost stories this one has a possible non-ghost explanation. Guy makes for the perfect ghost, as he was well known and loved the inn. But it should also be noted that there is a memorial to him in the Inn, which includes a photo. So our ghost spotting guest had access to a good description. Was she using Guy as a convenient explanation for her sudden desire for a different room? Or did she really see the ghost of Guy Toole? One thing is for sure, if the ghost of Guy Toole haunts the Asticou Inn, you need not fear him. If you see him, smile and ask how are things going? After all, he worked at the Asticou Inn for many, many years and was said to be friends with everyone! Short answer, it's inside the Asticou Inn's attic. We're not really supposed to be up here in the attic, but the door was open and if you have read my other tours you know I tend to snoop around looking for anything unusual. 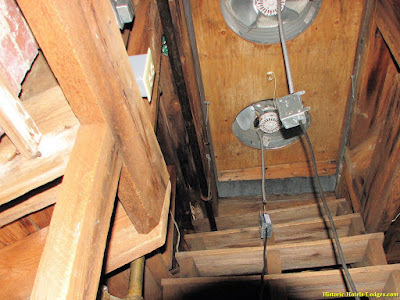 This view is from inside the attic, looking up toward the roof hatch that opens to the widow's walk. Ventilation fans have been installed in the hatch door to help cool the inn. (No air conditioning!) Originally on hot days the staff would have opened the hatch to allow the hot air to escape. OK, I here someone coming so I need to get down from here or I may have some difficult explaining to do. Wouldn't be the first hotel to tell me to stop taking pictures.